Disodium phosphate is a food additive that combines the minerals phosphate, or phosphorus, and sodium. Phosphate salts are also sometimes used as medicine, and they're generally regarded as safe by the U.S. Food and Drug Administration. People with certain health conditions requiring low phosphorus intakes, however, may want to minimize the amount of disodium phosphate they consume. When used as a food additive, disodium phosphate plays a number of roles. It can help regulate the acidity of food, thicken it, stabilize it and maintain it at the proper moisture level. Disodium phosphate also helps keep oil-based and water-based ingredients, which would otherwise separate, mixed together. Fish and seafood sometimes contain disodium phosphate to help keep them moist. Otherwise, they lose significant amounts of water during processing and storage. 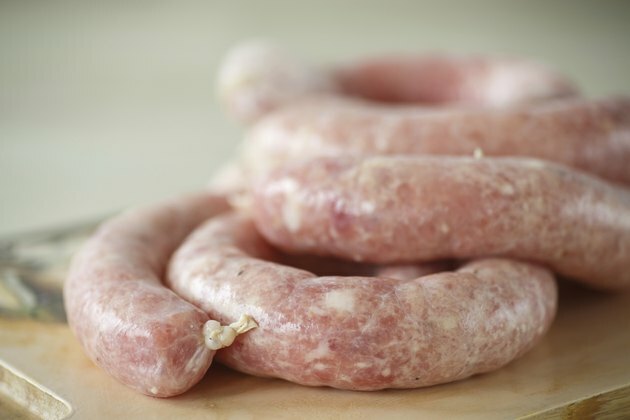 Disodium phosphate also helps preserve sausages and cooked meats and make soft drinks and cheese smooth. It helps preserve bakery products and enriched farina and maintain the smoothness of ice cream and artificially sweetened jelly. A wide variety of other foods can also contain disodium phosphate, including breading or batters, breakfast cereal, candied fruit, butter, chewing gum, cocoa and chocolate products, fruit juice products, coffee, tea, cider, dairy products, candy, processed vegetables, pudding, pasta, alcoholic beverages, sausage casings, egg- or fat-based desserts, salt, salt substitutes, soups, tofu, sweeteners and water-based beverages. Disodium phosphate has nonfood applications, too. It can be used in water treatment and as a flame retardant. In medicine, it may help lower high blood levels of calcium or increase low blood levels of phosphate. It may also be helpful for limiting some types of kidney stones, but the evidence for this is still preliminary, according to MedlinePlus. Large amounts of disodium phosphate or other phosphate salts may cause upset stomach, constipation or diarrhea. People with heart failure, cirrhosis or any other condition that can cause edema should avoid disodium phosphate, as it may worsen the symptoms of these conditions, according to MedlinePlus. An article published in "Deutsches Arzteblatt International" in January 2012 brings up the concern that phosphate additives in food could be a problem for people who have conditions that require them to limit their phosphorus levels. The type of phosphorus found in disodium phosphate and other food additives is more easily absorbed than that found naturally in foods, so it can potentially increase phosphorus levels too much in people who eat a lot of processed foods containing these additives. Conditions of concern include kidney disease, severe heart and lung disease, thyroid problems, liver disease and Addison's disease. What Is Potassium Phosphate Used For?